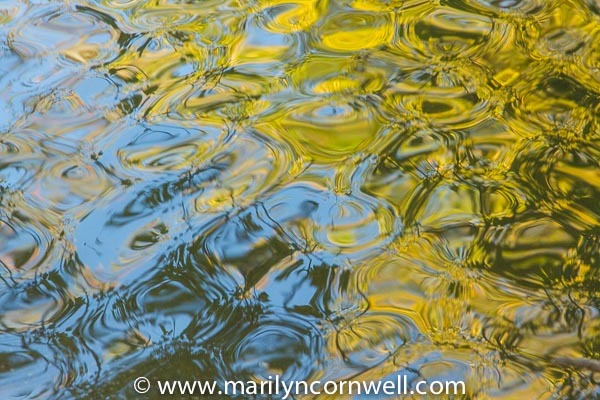 Today's images carry on the theme of water reflections. 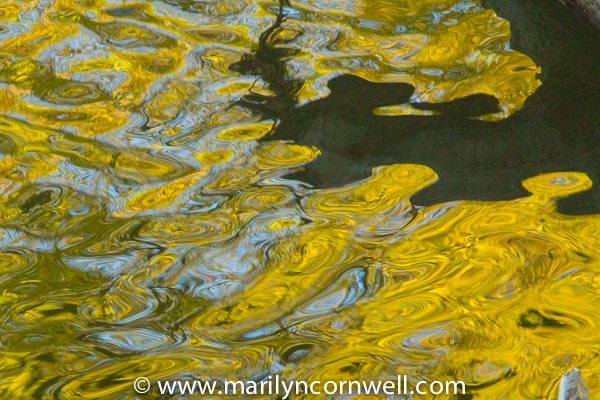 This is a great time of year with the Autumn colour reflections. The top two images are similar in their reflections. 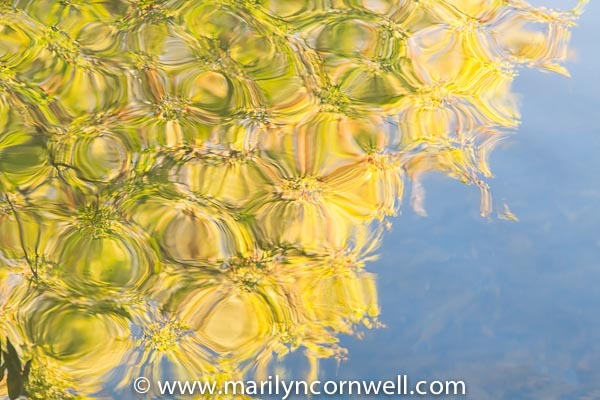 It is the bottom one that fascinates me - where there seem to be 'daisies' in the water. I remember this part of physics got terribly complicated in Grade 7 or 8. Or was it grade 9? Perhaps someone receiving this will reply with the explanation of this pattern.